Saint Agatha is the patroness of those afflicted with breast disease or cancer. Unfortunately, as rates of cancer increase, she is becoming more and more popular and needed. 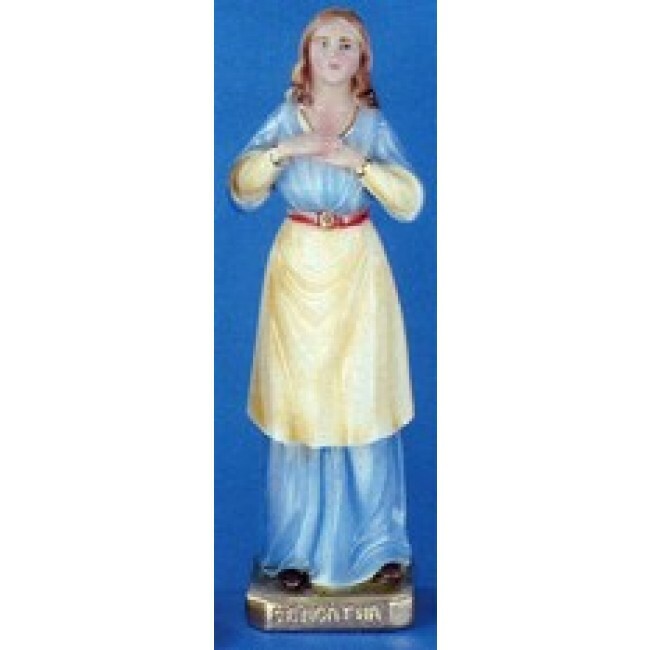 Many pray to her for a cure or for a miracle for a loved one afflicted with the disease. The St. Agatha statue is beautifully hand painted with plenty of details throughout. She is shown in the most popular style and is wearing a light blue dress with a white apron. The stunning piece makes a great addition to any home altar or church collection.